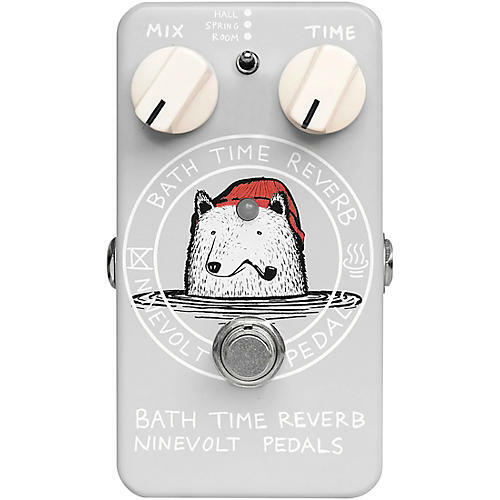 Animals Pedal Bath Time Reverb offers three distinct and adjustable reverb modes, Spring, Hall and Room, as well as a wet/dry mix control. The wetter the signal, the broader and more lush the reverberation becomes. The time control is very dynamic, providing a range of reverb from tight slap back to an echoing cathedral, and everything in between. All Animals pedals feature artwork by Australian Surf Artist Jonas Claesson, operate on 9v power, feature true-bypass switching, and are made to exacting standards of performance and durability using only the highest quality parts and materials.